India Driver Tours is offering high quality services for economy car rentals in India, which are designed specifically keeping in mind the requirement of our customers in India and beyond. We have a well-maintained economy car fleet, which comes with highly experienced English speaking driver to guide you throughout the journey. At the same time, we strive to give optimum satisfaction to our long list clientele’s in India, which hire economy car from us on regular basis. These cars are ideal for visiting the famous touristic locations in India. Hence, book online economy cars from us because we give high-rated customer satisfaction coupled with safety & security throughout your journey. If you are traveling to visit India for recreational activities then booking economy car rental services from India Driver Tour is most viable option. Our fleet of economy cars consist of Swift Dzire and Toyota Etios. From us you can quickly and easily book economy car online to make your India trip -impeccable in all respect. Our key aim is to offer clients a secure and reliable service without any kind of hidden charges. For many years, India Driver Tours has been the ideal medium for domestic and international tourists to visit the famous places in India. For hassle-free travel experience in India with your family members or friends, you can contact our client support staff anytime. Toyota Etios is a stunning car, which has been designed keeping in mind the road conditions of India. It has beautifully designed exterior with great interior space. This 5-seater car comes with remote controlled audio system, tilt steering, pillow type headrest, central locking, electric power steering, air conditioner, power windows and much more. 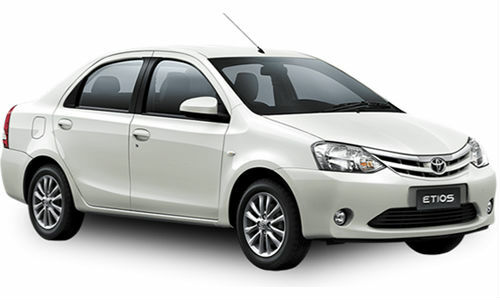 You can hire Toyota Etios car online with India Driver Tours, which is well maintained and is excellent in condition. This great car is one of the best and elegant medium to travel places in India. You can take a trip with this car at very affordable prices because by renting this car you save money and get comfortable travel experience. Swift Dzire has been the foremost choice of domestic as well as international travelers for visiting popular tourist destinations in India. 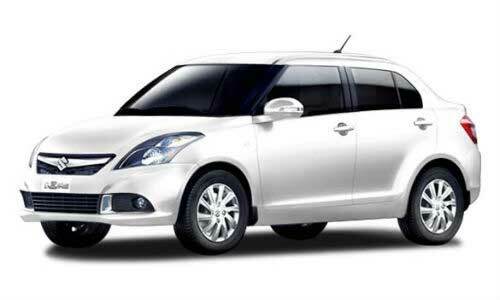 This car can accommodate 4 passengers along with driver, but it is recommended to rent Swift Dzire for 2 travelers. It comes with Front dual SRS airbags, Engine Drag Control, music system, powerful engine, disk brakes, automatic windows, doors, Vanity Mirror & Front Cup Holders, Power Steering, Power Windows Front, Automatic Climate Control, comfortable seats, and Multi Function Steering System. In case you are willing to hire Swift Dzire Car for your next trip to India then we are here to help you in this regard.